Includes unlimited streaming of EvoRevolution via the free Bandcamp app, plus high-quality download in MP3, FLAC and more. An album in the old sense coming in around 38 minutes so definitely not outstaying its welcome. Beautifully crafted and executed, with the right balance of jaw-dropping playing with riffs melodies and tunes. After the release of six albums between 2008 and 2017, Italian bassist and composer Alberto Rigoni (soloist, co-producer of Vivaldi Metal Project, founder of Bassists Alliance Project, ex Twinspirits) is now going to release "EvoRevolution", an instrumental prog/rock/ambient concept album which features worldwide known drummer Marco Minnemann (The Artistocrats, Paul Gilbert). "EvoRevolution" consists in a 33mins "concept" suite divided in 6 chapters and in second track called Back to Life. 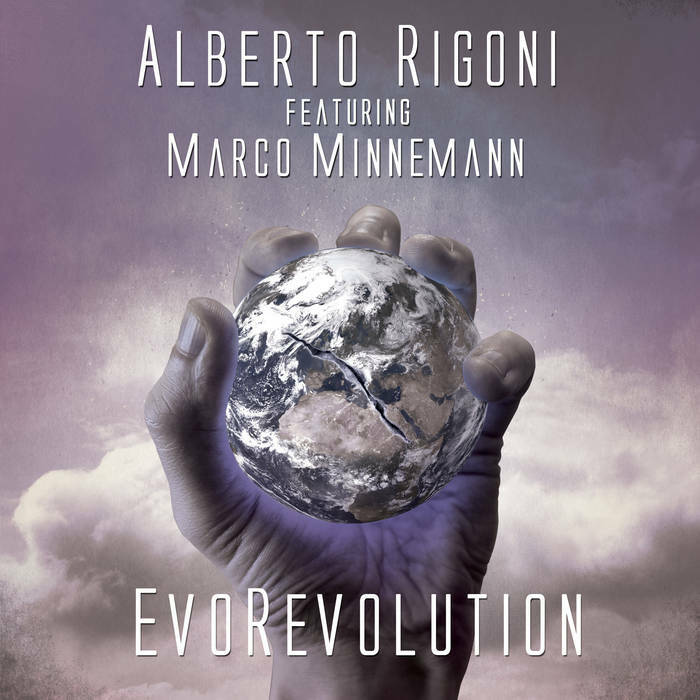 Minnemann: "Alberto approached me with the idea of adding drums to a fairly long piece composed mainly on the bass guitar. It goes in chapters and takes you on a trip through a variation of sensitive and dynamic soundscapes, leads through heavy rock song like parts, odd meter prog or jazz orientated sections and many more surprises. I was immediately up for this adventure and also enjoyed the musical freedom I was given for this production. Truly an enjoyable and great time being part of this release". Alberto: "The composition and production of this album have been the most challenging I've ever done. I tried to bring my bass to another level and, together with Marco's drumming, I think (and hope) we created an unique sound."